The Westchester Educational Safety Training Committee, commonly referred to as W.E.S.T., is a multi-agency group comprised of public works, public safety, emergency management, transportation and other various maintenance professionals from municipalities throughout Westchester County who collaborate to put together training opportunities and events with a focus on sharing information, resources and networking opportunities throughout the region related to fleet safety, maintenance and equipment. The committee has a balance of members with many years of public service experience, knowledge and training in the areas of fleet management, vehicle repair, maintenance and safety. Heading the committee is Westchester County Public Works and Transportation Commissioner Hugh J. Greechan, PE. The committee chairman is Stephen Connor, Head Automotive Mechanic/Fleet Manager for Public Works and Transportation. Annual W.E.S.T. events include forums and our unique interactive regional Fleet and Equipment Demo Day, which features a variety of police, special service, fire and public works vehicles and apparatus as well as vehicle manufacturers, vendors, equipment, technology, safety, maintenance information and demonstrations. 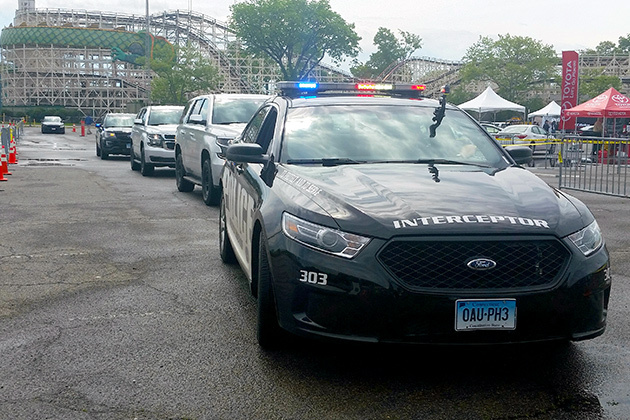 It's a bi-annual opportunity for agencies and departments to showcase their vehicles, equipment, training and services as well as to network with other emergency services and fleet maintenance professionals and vendors from the tri-state area.